Reverbs and delays are what give mixes character, but don’t just ‘set and forget’. Learn how to enrich your FX tails using EQ, compression and other processors, to really bring out the song’s personality. Reverb and delay are crucial elements in virtually any mix. The possibilities for using them creatively are plentiful. You can create lush ambiance on a ballad vocal, use a room reverb to provide a unifying sound to tracks recorded in different studios, add a slapback to a lead vocal, and make a lead guitar sound like it was played in a concert hall. While it's easy to insert a reverb or delay onto a track, pro mixers often use compression, EQ and even modulation effects to modify the FX sounds in ways that make them even more compelling to the listener. In this article, we offer 7 specific techniques for taking your reverbs and delays to the next level. An effective way to apply reverb to a lead vocalist or lead instrument is to use a compressor to automatically reduce (aka “duck”) the reverb when the signal is present, and release after the word or line ends to let the reverb ring out. This technique allows your vocals to feel forward in the mix, with the lyrics more intelligible, yet not seem overly dry. To set up a ducked reverb, insert a reverb plugin, like Waves Abbey Road Reverb Plates, on an aux track with a compressor after it. Set the reverb send of the audio track to taste. 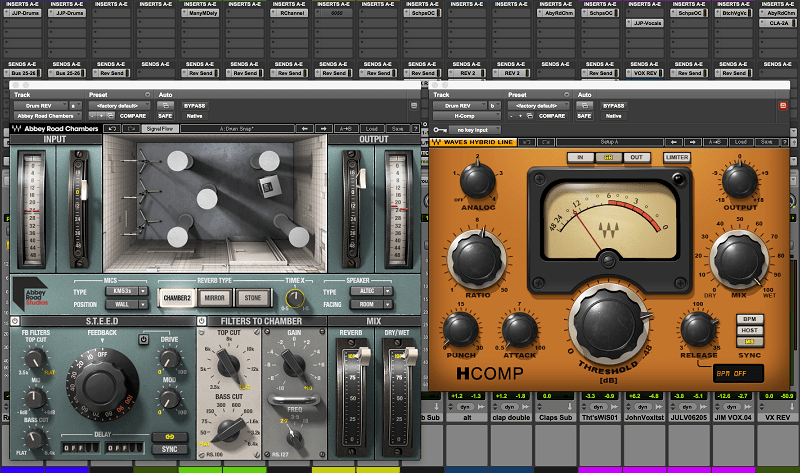 Next, create a send from the vocal track that triggers the sidechain on the compressor. When the singer is singing, the compressor ducks the reverb down, but when the singer stops, so does the compressor, allowing the reverb to return to full strength during the pause. Here, Waves Abbey Road Reverb Plates is being modified by Waves H-Compressor, which is being triggered by a sidechain feed of the vocal. Set the compressor to have a relatively low ratio; somewhere between 2:1 and 5:1. Adjust the threshold to vary the level of the ducking effect. You'll probably want to set the release on the slow side, but experiment with it until you achieve the sound you’re looking for. Too fast a release time can cause pumping, so you might want to set it slow enough that it holds until the following note or beat. This same technique will also work with delay. Similar to reverb, you'll have to find the right balance of compression and adjust the attack and release to work best for the song. Once you do this, you can have your vocals or lead instrument lines sounding forward and focused with the delay kicking in at the end of the line. Keep in mind that with delay, there needs to be some space between vocal lines for this effect to really work. If there's minimal space, there won’t be enough time for the delay tails to develop once the compressor releases. If you use the same setup as the previous tip—with a delay—but substitute an expander for the compressor (you could also use a gate, which is similar but less flexible than an expander), you get the opposite effect. It lets the delay come through during the vocal or instrument line and cuts it off in the breaks. The expander in the Waves Scheps Omni Channel works nicely for this purpose. Send the vocal track's output to the sidechain input. Set the threshold so that the expander is completely muting the output from the delay when there's no sidechain signal present. Set the attack time fast and experiment with the release time. If the expander opens up too quickly, you'll hear an obvious cut-off of the delay at the end of the line. It's okay to get the initial settings worked out with the vocal and delay soloed, but make sure to listen to the overall effect in the context of the mix, because the transitions when the delay cuts off can sound a lot less radical when covered up by other instruments. The expander module in Scheps Omni Channel works well for shutting off the delay at the end of a vocal line. The expander on Scheps Omni Channel has a floor parameter, which sets how much the processor will attenuate the signal at the end of a word or phrase. If you're trying to make the transitions smoother, set the floor so that the expander isn't closing completely. Even if you recorded your drums in a basement without a lot of natural ambiance, you can use reverb and a compressor to make them sound like they were tracked in a large live-sounding space. Waves Abbey Road Chambers is perfect for this type of room modeling application and provides you with a few different room types including tiled and stone chambers. First, put the reverb on an aux track to which you send your individual drum tracks, stereo drum mix or loops. Then, insert a compressor after it. Select a room or chamber reverb and set a relatively short decay-time (aka "RT60" or "reverb time") setting—somewhere between .75 and 1.5 seconds. Set the compression ratio high, at roughly 10:1, and set the threshold so that you're getting a lot of gain reduction. The attack should be fast; anywhere between the fastest setting and about 4ms. The quicker the attack, the more it will clamp down on your transients. Here, an H-Comp is inserted after Abbey Road Chambers reverb on an aux track, exaggerating the effect of the reverb. The more you turn up the compressor's makeup gain, the louder the effect will be. Extreme settings will give you a “John Bonham” like room sound. If you can’t turn up the makeup gain without overloading the output, try turning the threshold down or increase the ratio to intensify the effect. If you're looking to add some intensity and grit to your reverb, inserting a distortion effect after a reverb on an aux track can be really effective. Because you're not adding distortion to the vocal itself, rather just its reverb, it's subtler than you might think. Insert a reverb on an aux track and insert a distortion plugin, such as Waves Manny Marroquin Distortion, right after it. Start with the distortion turned all the way down and bring it up until you get the sound you like. 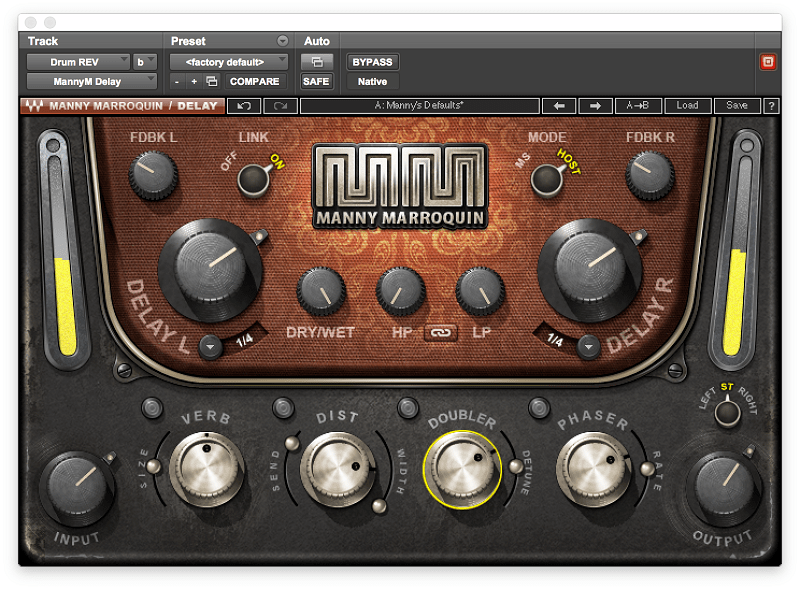 Because of its variable distortion, EQ and envelope parameters, Waves Manny Marroquin Distortion is ideal for modifying a vocal reverb. 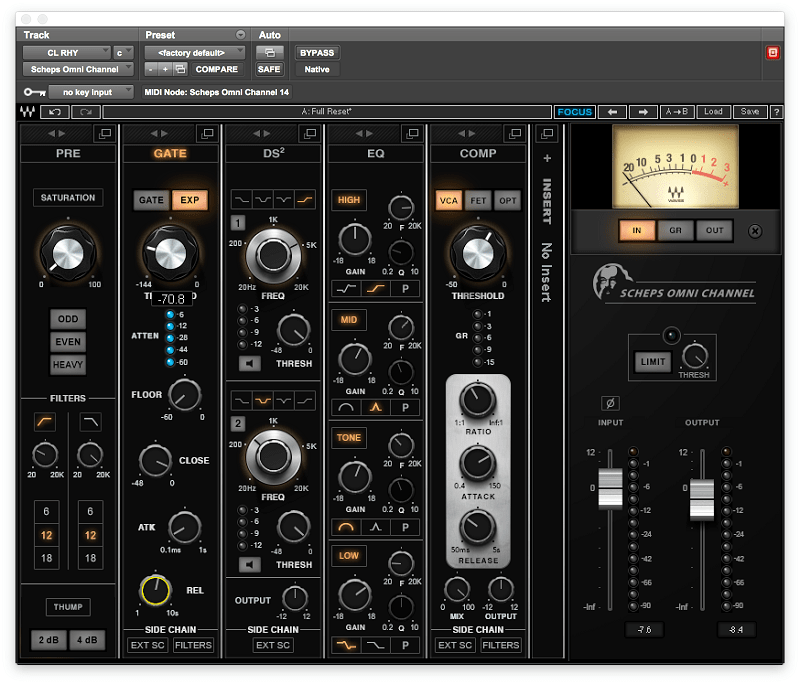 On the Marroquin plugin, you have several parameters that control the amount of distortion: the distortion level slider, the direct level slider and the drive knob. A good starting point is with the direct level all the way up, distortion level halfway up, and drive halfway up. The Marroquin Distortion is unusual for a distortion plugin in that it has attack and release controls. Try starting with them both about halfway, and then adjust to taste. EQ can be really helpful for tailoring your reverb to fit the song. Too much bottom end on reverb returns can add to the lower midrange muddiness of a mix. In most cases, you won't lose much by EQing out a significant amount of low end from the reverb itself. You can also experiment with cutting some high end as well, to make it sound a little warmer, and less harsh or sibilant. You don't always have to insert a separate EQ, you can usually do your cutting from the reverb's own EQ controls. 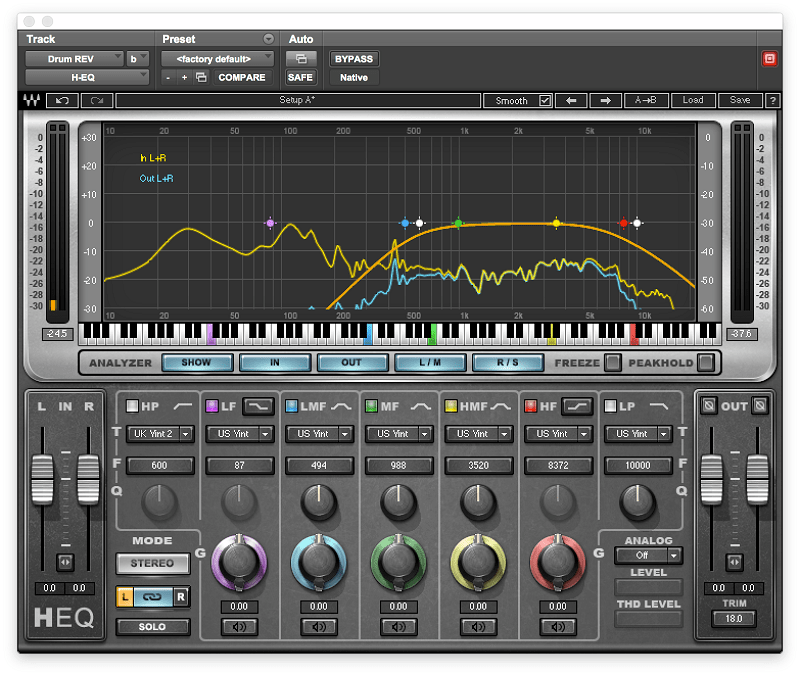 For example, H-Reverb has a full EQ module built in. It also has a dynamics control section, so you can do the compressed reverb effect discussed earlier from a single plugin. 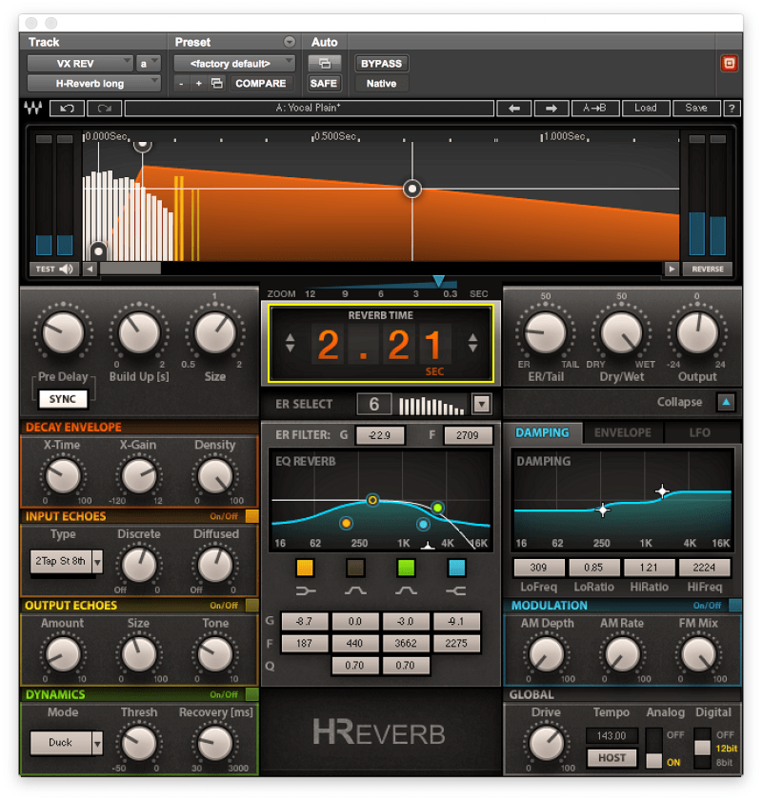 Waves H-Reverb provides plenty of ways to shape your reverb, including a powerful built-in EQ section. If you do use a separate EQ, you can insert it before the reverb to tune the reverb response to the audio signal, and if you need, another instance after to clean up the return. The so-called "Abbey Road Curve" is an EQ setting for reverb that's been used for many years at Abbey Road Studios. It's relatively straightforward to set up: insert an EQ plugin before your reverb and use its high-pass filter to roll everything off below 600Hz and the low-pass filter to roll everything off above 10kHz. Start with the filter slopes set to 12dB per octave. Here you see Waves H-EQ set for the “Abbey Road Curve,” which greatly reduces the frequency range of the reverberated signal, especially in the low end. It might seem like an extreme solution, but it keeps your reverb from adding mud to the mix on the low end and sibilance on the high end, while still letting enough important information through to give the track a nice-sounding ambiance. The curve will sound good on any reverb but is particularly authentic sounding with Waves Abbey Road Chambers or Abbey Road Plates which offer accurate emulations of actual Abbey Road Studio reverb units and spaces. One of the reasons that analog and tape delays (and the plugins that emulate them) are so popular is that the delayed signals are not identical frequency-wise to the dry signal. In particular, the high end gets rolled off. On a tape delay, it continues to roll off further each successive tap. This warm sound is pleasing to most listeners. 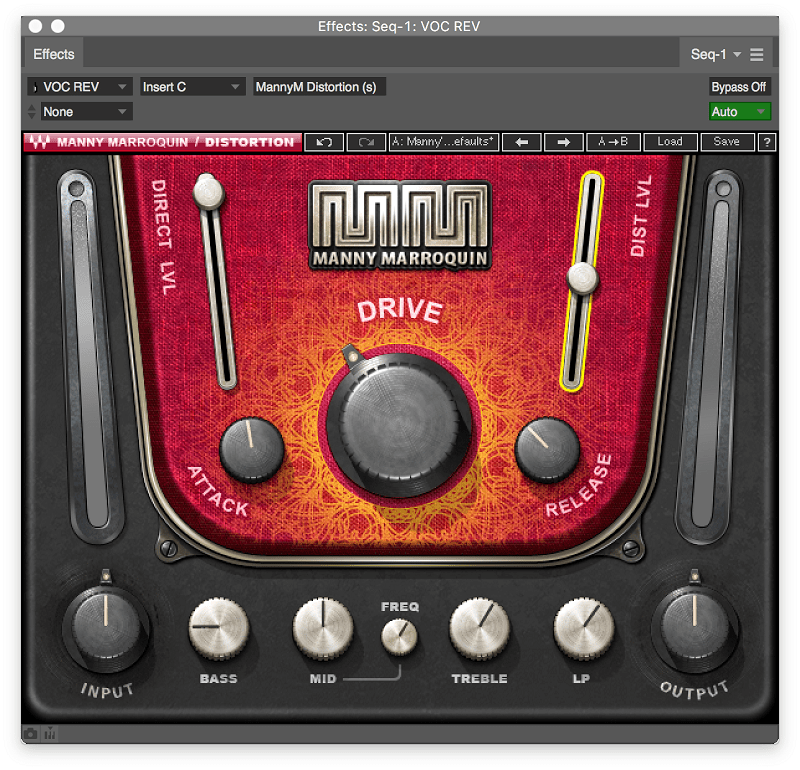 Waves Manny Marroquin Delay saves you the trouble of inserting additional plugins after the delay by including onboard distortion, reverb, phaser and doubling effects. So, by EQing your delay and cutting high end, you can give your vanilla digital delay sound a more vintage vibe. Like with reverb, cutting low end on delay tails can also help clean the lower-midrange clutter of your mix. A delay that's applied to an aux send gives you the opportunity to try a lot of other effects to modify the delayed signal. This is because anything you insert before or after the delay on that aux track will only impact the delayed signal, not the dry one, giving you leeway to experiment with modulation, pitch effects and distortion, really opening up the creative possibilities. So, try different techniques, get creative! You never know what you'll come up with. 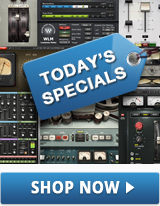 Want more on mixing with reverb and delay? 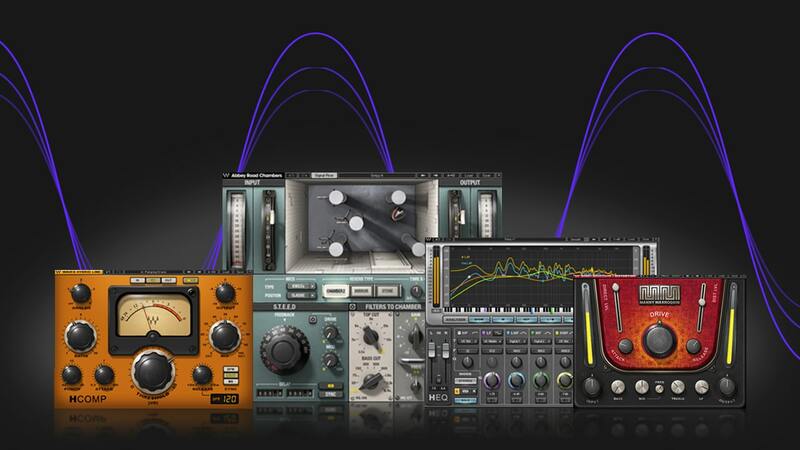 Get tips here on adding depth to your mix.